Nourish your brain with these tasty orange and lemon flavour jellies formulated to support your brain. 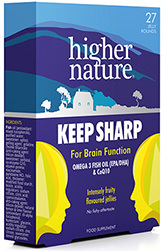 With emulsified omega 3 fish oil packed with DHA. Also contains choline, CoQ10, zinc and B vitamins. Easy to take and more readily absorbed by the body, these are the ideal choice if you are concerned about your brain as you age. 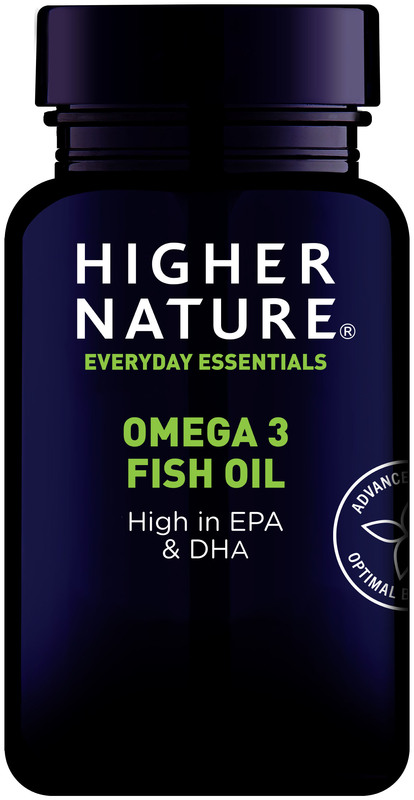 Emulsified omega 3 fish oil and targeted nutrients with no fishy aftertaste! 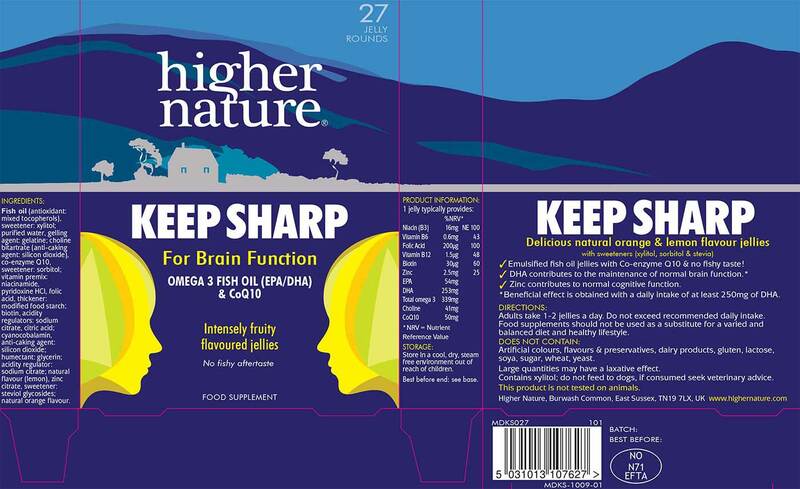 Contains zinc which contributes to normal cognitive function DHA contributes to the maintenance of normal brain function (The beneficial effect is obtained with a daily intake of at least 250mg of DHA) Choline is a component of the neurotransmitter acetyl choline. 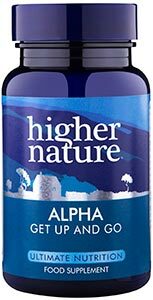 Contains Coenzyme Q10, produced by all the cells in the body but its production diminishes with age.